Provide your organization with a powerful work platform that offers speed to business value — so you say yes to more ideas, more customers, and more revenue. 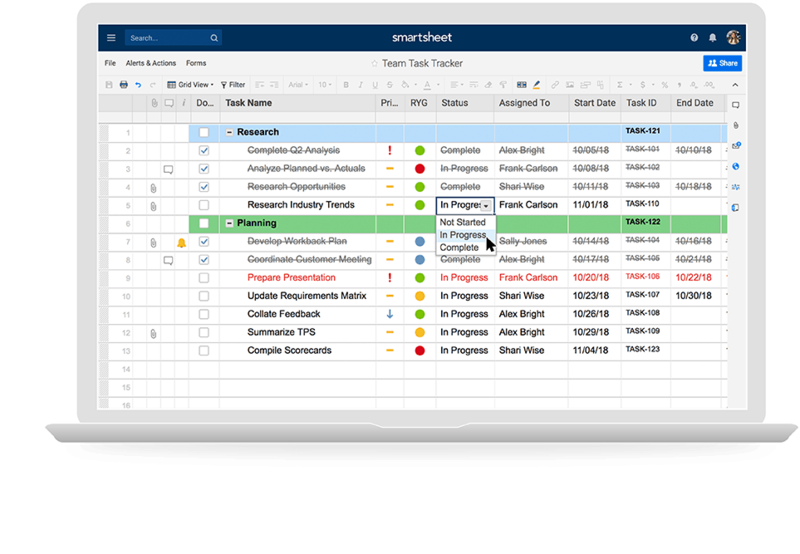 Learn how Smartsheet features can help you move from idea to impact — fast. View a list of all features. Empower your teams to execute together with speed and accountability, driving to successful outcomes faster. 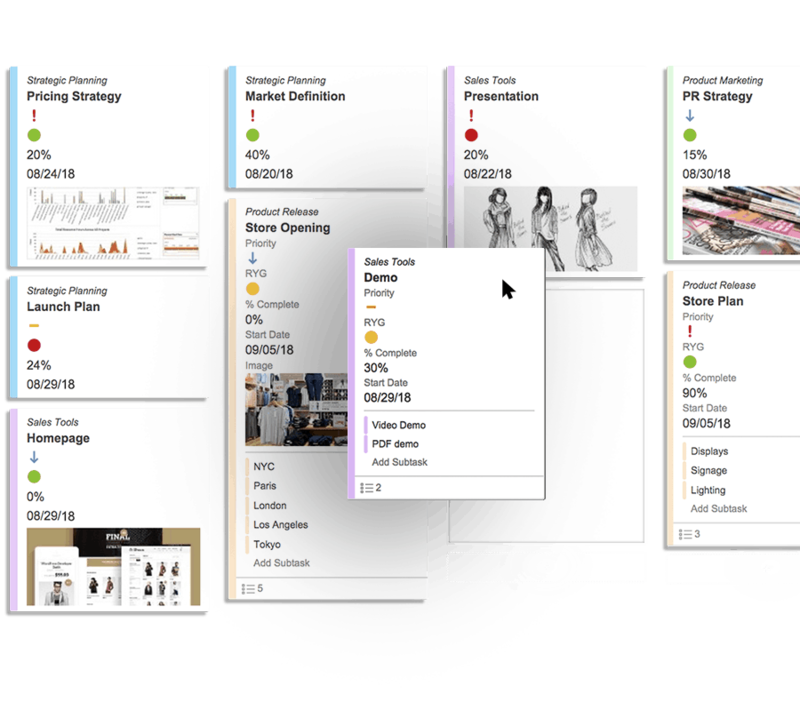 Create a unified, customized view of projects that keeps your teams on task and on time — and easily tracks multiple moving parts. Give project owners and stakeholders a robust, real-time view into the status of top KPIs, critical trends, and summary reports. 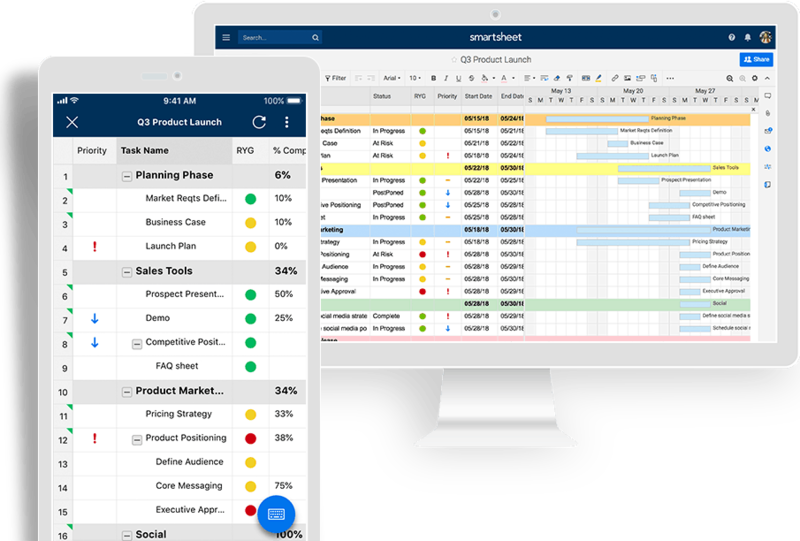 Give teams a more visual way to communicate and collaborate in Smartsheet with a powerful way to see, share, and act on projects together. Bring your teams together and keep them on the same page with an easy-to-create and maintain centralized information portal. Empower business users to speed execution and foster innovation by making it easy to collect and act on data. Put simple and powerful work process automation rules to work in a matter of minutes. 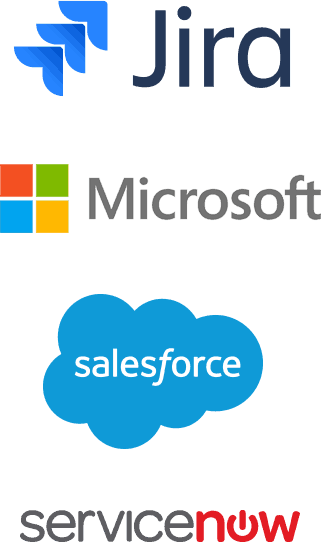 Get work done in context — without switching from one app to the next — with out-of-the-box integrations that work with your favorite cloud tools. 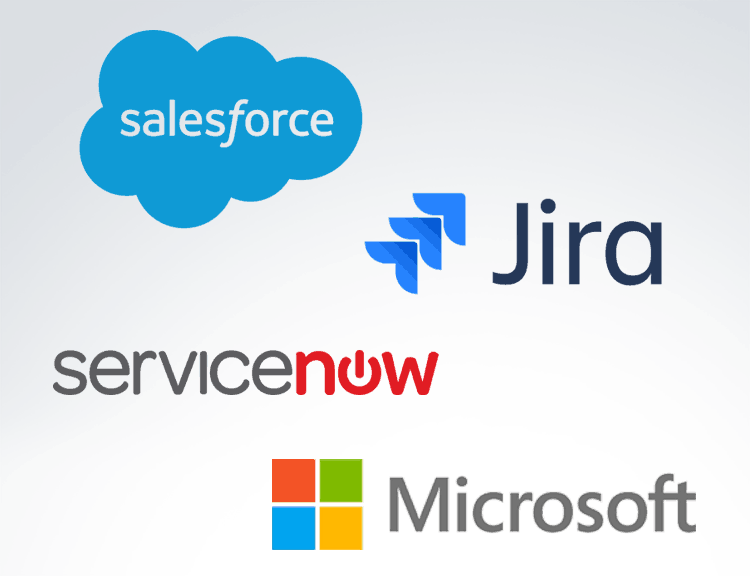 Maximize the ROI of your enterprise systems by connecting and syncing work across your key platforms, so you can focus on the work that matters most to your organization — in the best tool for the job. Roll out business strategy with consistency and reduced operational risk by setting up new projects automatically. 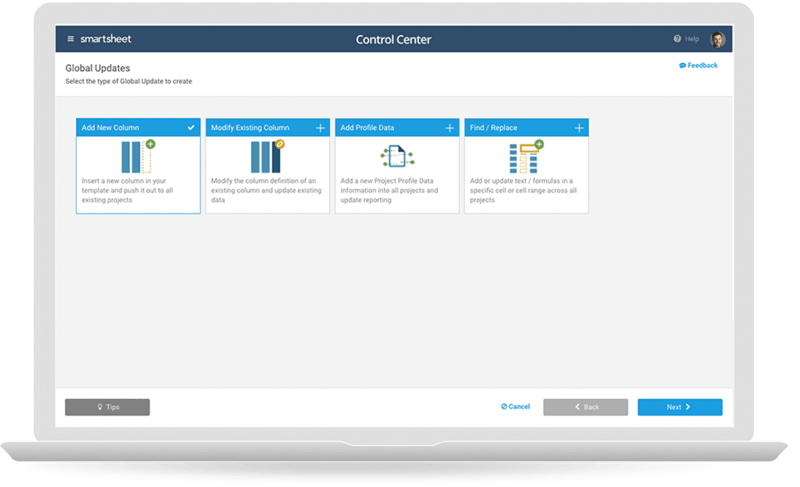 Get critical data in real time with easy-to-configure, widget-based views. 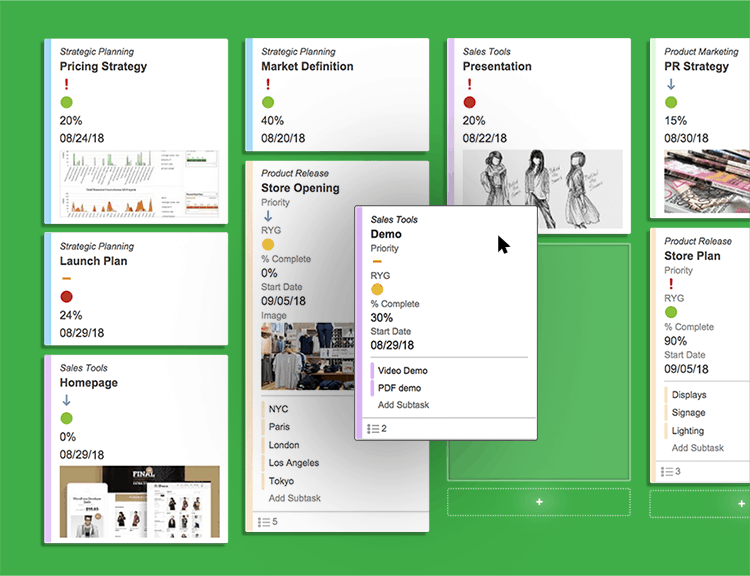 Visualize, share, and act on work in motion with drag-and-drop cards. 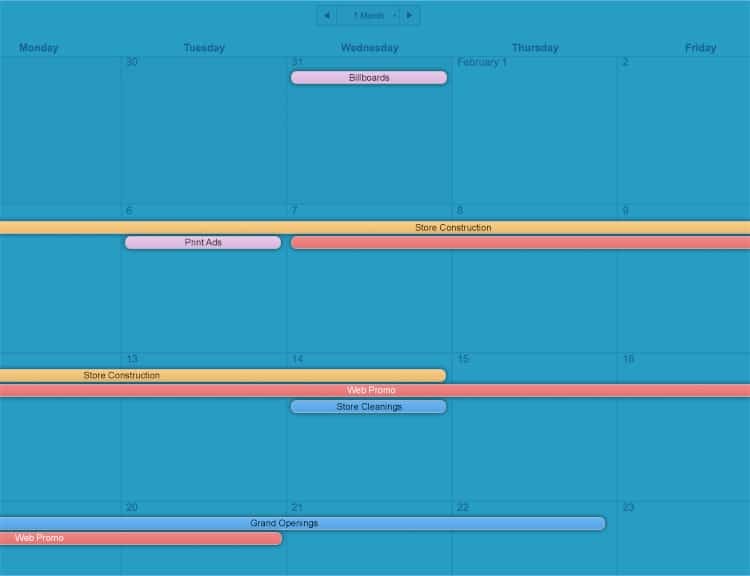 Interactive, easily customizable view lets you publish or overlay on Google and iCal. 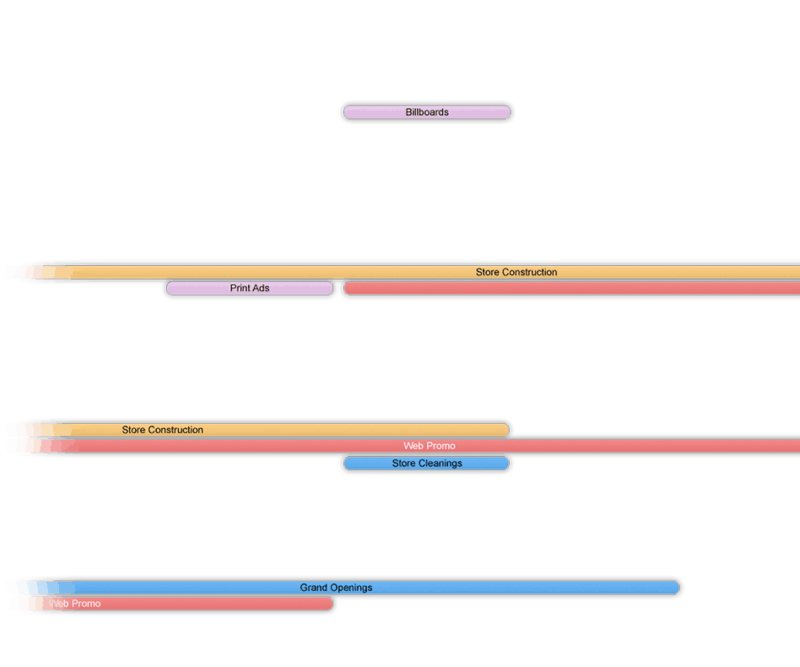 Easily visualize your projects with customizable Gantt capabilities. 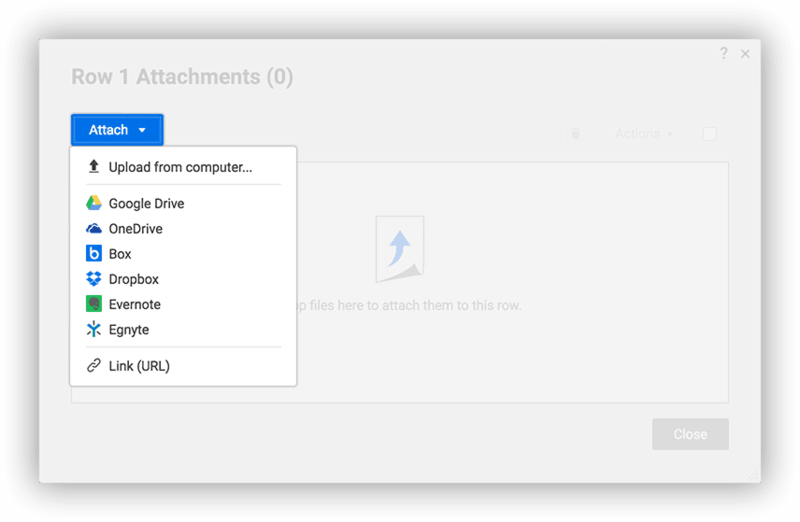 Store docs and attach files from Google Drive, Dropbox, OneDrive and more. Keep teams on the same page with a centralized source of information. Any user can set automatic alerts about key dates and milestones. 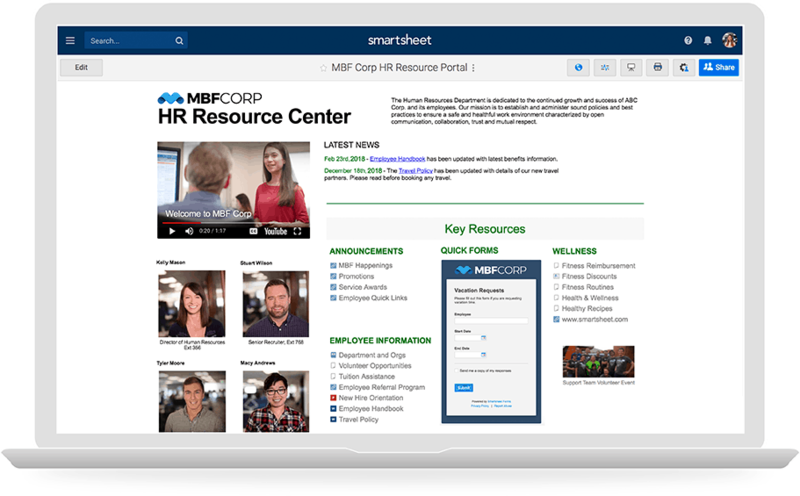 Add photos, view attachments, and take action with Smartsheet for iOS and Android. 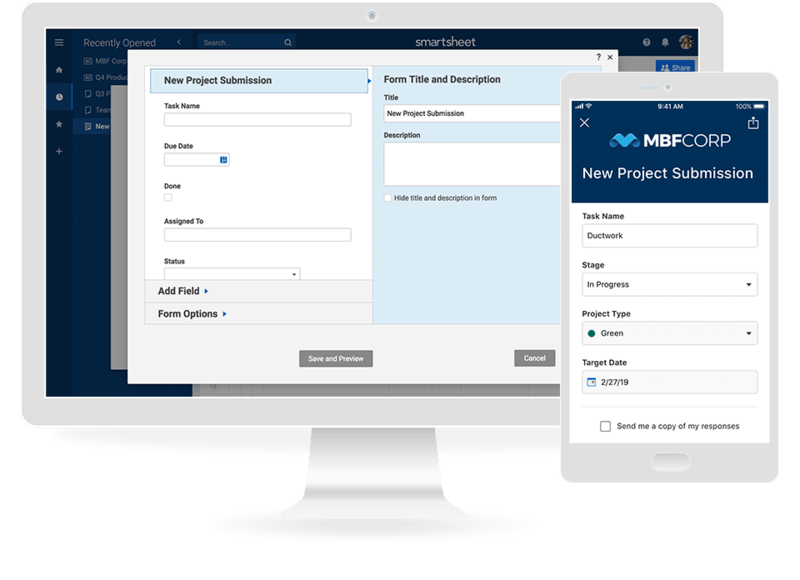 Data captured through forms is saved into Smartsheet in a structured format. 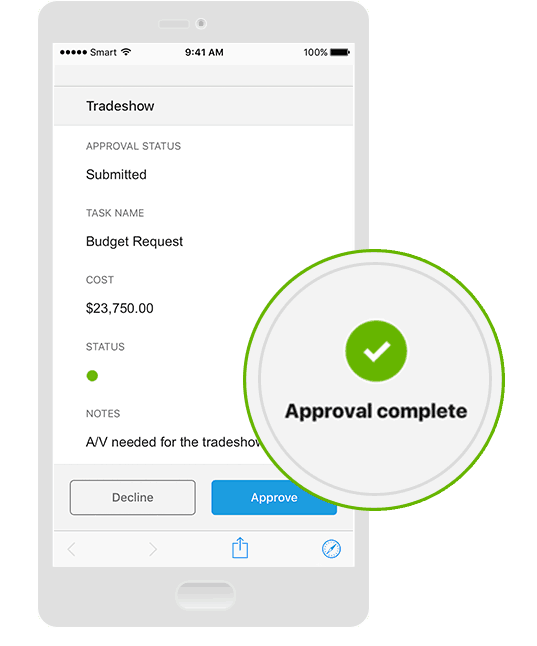 Easily set up and track automated requests for updates or approvals. Any user can set up automated requests that are triggered by preset rules. Send rows from a sheet or report to anyone via email. Share entire sheets and set permissions for access. See and take action on important tasks and updates in a single source of truth. See who made which changes and when, on sheets, reports, and dashboards. View all changes to items filtered by action type, person, and date range. See all the tasks that directly impact your project completion date. Create editable summary reports across sheets; export to PDF or Excel. Share sheets by publishing to web as read-only or editable files. Export and send as attachment or print calendars and reports. Easily manage users and transfer access. 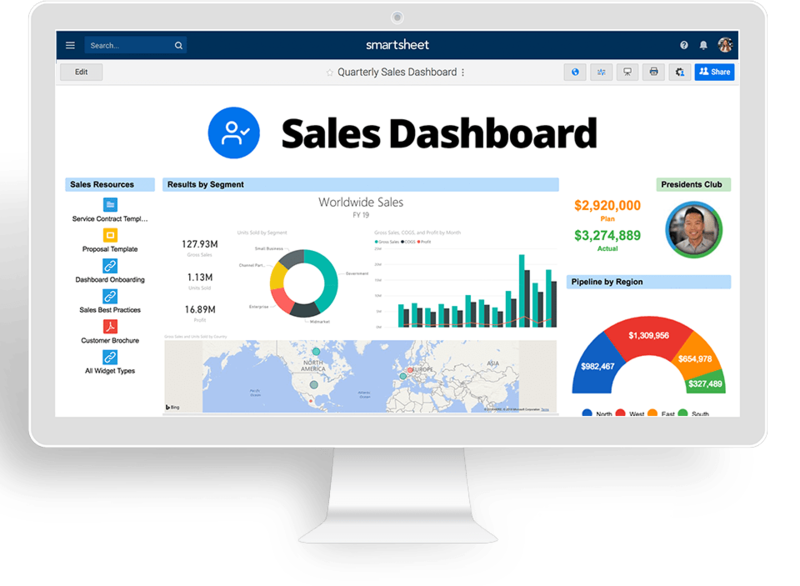 Connect your apps to your Smartsheet data with the Smartsheet RESTful API. Perform calculations and lookups within and across multiple sheets. Add logos and set color themes for customized look.